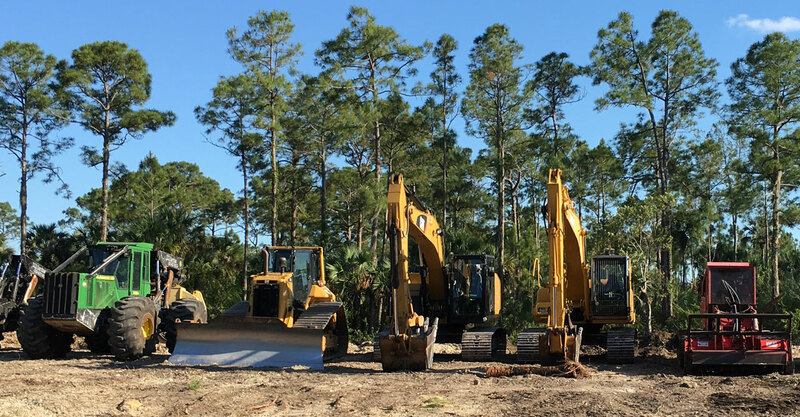 DLR provides land-clearing services in Central Florida and specializes in environmentally friendly mechanical removal of non-native and invasive plants and trees through grinding and mulching. Tree grinding mulchers are one of the thoughtful components to DLR Environmental Services' “going green" movement. A forest tree mulcher is designed to clear away trees, stumps, and brush by grinding organic material into mulch. DLR's forestry grinders and tree mulchers' ability to preserve land while still removing unwanted trees and brush makes it the most environmentally friendly land clearing method in the industry. All of our machines' maintenance and repair are done at our facility, insuring our down time isn't yours. DLR also specializes in state-of-the-art welding, heavy equipment, hydraulic, swamp buggy and marine repair. DLR Environmental Services has been providing superior quality work in Central Florida and the surrounding areas since 2013. Moreover, Danny Rudisill Jr., the owner, has been involved in various categories of environmental services for the past 20 years. Here at DLR, we specialize in environmentally friendly mechanical removal of non-native and invasive plants and trees through grinding-mulching. We are fully licensed and insured with an extremely knowledgeable staff and operators with years of experience in providing excellent workmanship and customer service. No job is too big or too small. At DLR Services, our commitment to safety is above and beyond the standard requirements. Our machines are fully equipped with government grade safety products. We conduct daily safety meetings and all operators are always equipped with full protective gear. At DLR Services we realize your time is valuable and we will go the extra mile to insure a timely and responsive completion of the scope of work. To contact DLR Services call 863-287-2619 or complete the following contact form. Click the 'Submit' button to send us your message. *Type your message below: How can DLR Services help you? © 2018 DLR Services, All rights reserved.